Pardee House Becomes Chamber Headquarters. The old Pardee House began its long career before the turn of the century and was originally located on Pine Street, south of Market Street where it served as a lodge building. When it was later vacated, a local resident named Ed Pardee purchased it. Mr. Pardee was originally from Titusville, Pennsylvania and moved to Newhall to further his career as an oil driller in the Mentryville area of Pico Canyon. Mr. Pardee moved the house to 24275 Market Street (where it still stands) and enlarged and remodeled it to his liking in 1890 and added a small building in the back yard which was often used by famed western star Tom Mix as a hideaway between his movie making assignments. Later, the home was left to Ed Pardee's daughter, Pearl, who married Bert Russell and had one son. A lovely, attractive woman such as Pearl quickly turned the house into a popular gathering place for her friends and associates. In 1940 [sic: s/b 1942], it was sold to the Pacific Telephone Company and turned into a business establishment to house the main switchboard that had been previously operating at 24265 San Fernando Road, Newhall. The building served Pacific Telephone Company for well over a quarter of a century until the company outgrew the location and moved to a new building at Peachland and Lyons Avenue in Newhall. In 1970 the building was leased to the Santa Clarita Boys Club and converted into a "Teen Center" and community building for youth activities. 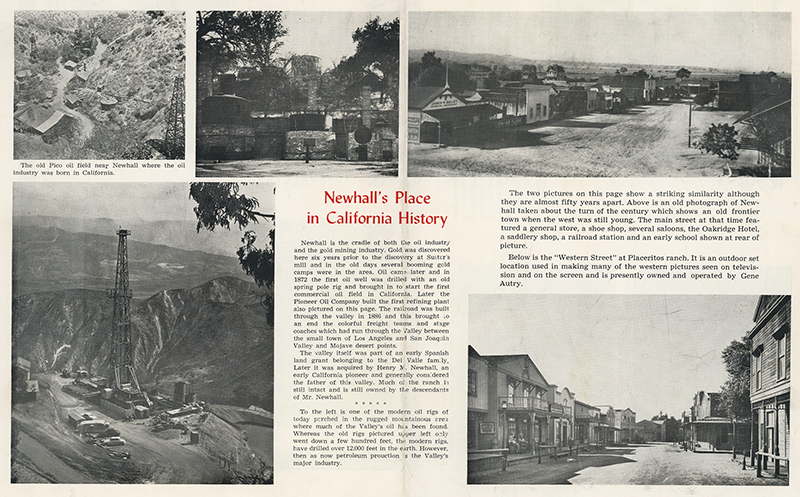 In February of 1977, the SCV Boys Club vacated the building and moved to another address in downtown Newhall. In March 1977, the Newhall-Saugus-Valencia Chamber of Commerce negotiated an indefinite lease for the premises in exchange for remodeling and future upkeep. From March until August 1977, the chamber embarked on a vigorous and extensive remodeling and refurnishing program that was made possible through the generosity and dedication of chamber members. Over $9,000 was collected through donors of the Chamber Team and Century Builders Program and all monies went toward the complete remodeling of the building and landscaping of the ground under the capable direction of Building Chairman René Veluzat and his committee composed of Bruce Cederoth, Curt and Jo Anne Darcy, Ron Strange and Laurene Veluzat. Many members also responded with gifts of furniture, equipment and discounted services and supplies. 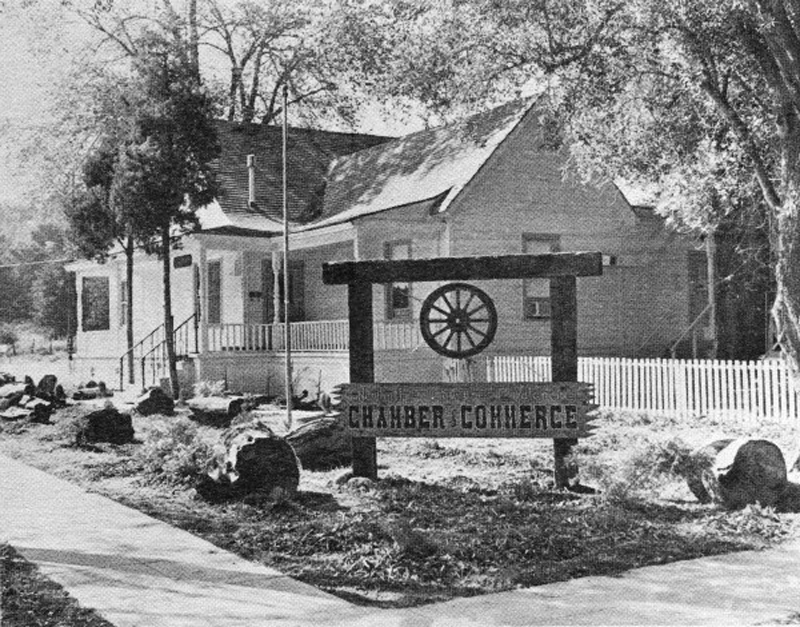 The Newhall-Saugus-Valencia Chamber of Commerce is grateful to the Pacific Telephone Company who made the original dream possible — that of establishing a permanent location for chamber operations and programs and for providing a historic setting for community activities and to its many members who contributed so generously and renewed the chamber's belief that the Newhall-Saugus-Valencia Chamber truly is the "Hub of Southern California's Future."